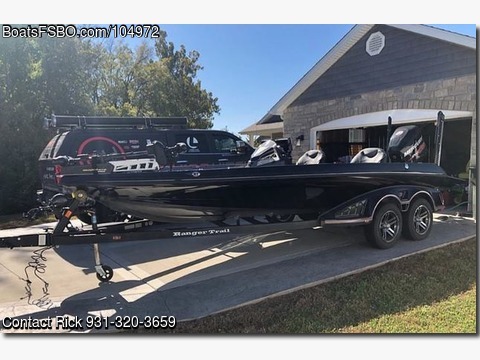 2018 Ranger Z520L, 2018 Mercury 250 PROXS Motor has ONLY 80 hours w/5 year warranty! MinnKota Ultrex 112LB (2) 8' PowerPole Blades. 10" Atlas Hydraulic JP w/gauge (2) 7612 Garmins @Console (2) Garmin 7610’s Panoptix bow, 24 Fury, Mercury Smartcraft gauge, Hydrowave KVD. Interstate AGM Cranking battery, (3) Optima D31M, Oxygenator,Jump start. Adjustable driver/passenger seats Custom cover, Compartment blower system.